Jonsrud's Viewpoint is off of Highway 26 in Sandy Oregon. 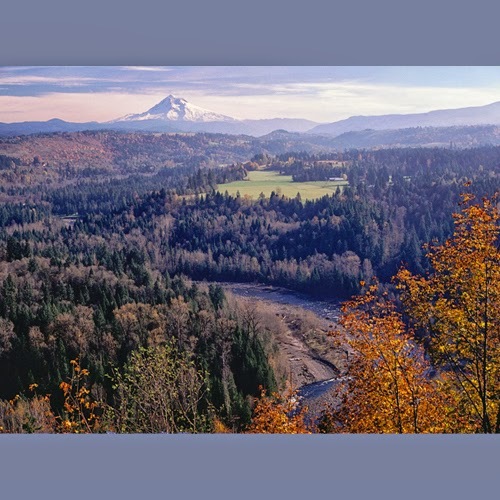 Jonsrud's Viewpoint provides a location where all Oregonians or visitors can take in a view of beauty that will last a lifetime. This location provides a quiet private spot to take photographs and observe the natural beauty that surrounds you. Read more about Jonsrud's Viewpoint below. On the Mt. Hood Scenic Byway, pull over off Highway 26 for a scenic look at Mt. Hood and be rewarded with a spectacular view of the Barlow Trail route over the mountain. T. G. Jonsrud and his wife Kari settled west of Sandy in 1877. Interpretation provided for the Devil's Backbone section on the Oregon Trail Historic Trail, also part of the historic Barlow Road.